CHARLOTTE, N.C. (AP) — Talk about an odd couple. 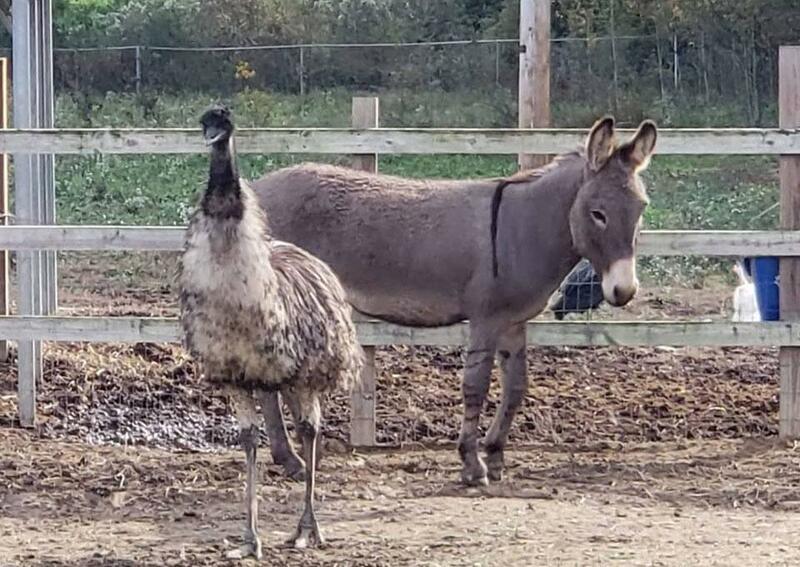 The Charlotte Observer reports the male donkey and female emu were rescued from Kershaw, South Carolina, when their owner suddenly vanished last week. Jennifer Gordon of nonprofit Carolina Waterfowl Rescue near Charlotte says the owner also left behind other animals. She says when the shelter tried separating them, the donkey cried and the emu became frantic. “They like to cuddle and even sleep together,” Gordon told The Charlotte Observer. She says the donkey doesn’t even like the shelter’s other donkeys. The pair are named “Jack” and “Diane”: “A story where two creatures with different looks, backgrounds and even breeds learn to stand together, protect each other and love,” the nonprofit wrote on its Facebook page.